In some criminal cases the defendant admits committing a criminal act. A legal excuse or justification may exist. This is an affirmative defense. For a person to be guilty of a crime, there are two things that must exist. The person must perform an action that is prohibited by law, and do so with an intent or mental state that is described by law. These two things taking place at the same time give rise to criminal liability. The law recognizes that there are times when criminal liability can be proven, but society believes it is not proper to punish the accused. When a defendant admits that he has done a prohibited act, and he intended to do that act, but puts forward as a reason that it was done under a recognized exception to punishment, he is claiming an affirmative defense. To claim an affirmative defense a defendant typically must meet several requirements. First, he must admit that he did the act that he is accused of doing, and second evidence of the legally recognized exception to holding him responsible must be introduced. This evidence may be part of the state’s case, or the defendant may introduce such evidence himself. Self-defense is an affirmative defense used by individuals charged with crimes against the person of another such as assault and battery, and in some cases murder. The actions are admitted but claimed to be legally justified by the danger presented by the alleged victim. Each jurisdiction varies a bit on the elements, or how they are measured. In most jurisdictions if there is some evidence of self-defense raised, it becomes the prosecution’s burden to prove beyond a reasonable doubt that the claim of self-defense is not justified. As a legal defense to criminal charges, self-defense is hundreds of years old. John Locke called self-defense “the first law of nature”. 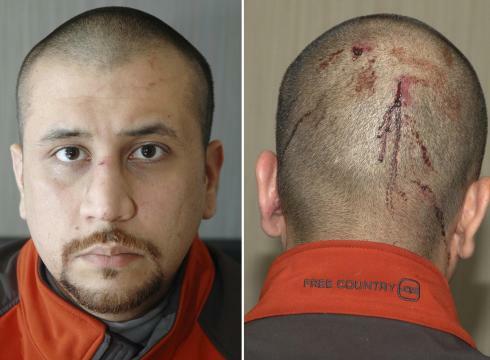 The George Zimmerman murder trial brought issues of self-defense into the national spotlight. 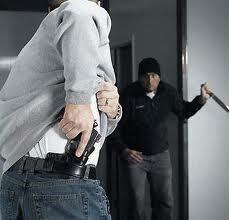 The jury instructions in the Zimmerman matter reflect the traditional law of self-defense. In some situations a defendant will argue that while he knowingly engaged in the prohibited conduct, the purpose of his doing so was necessary to prevent a harm worse than the harm caused by his violation of law. This is the affirmative defense of necessity. The harm to be avoided was greater than the danger posed by the prohibited conduct. There was no reasonable alternative. The prohibited conduct ceased as soon as the danger passed. The defendant did not create the danger to be avoided. This may arise when there is a medical emergency such as a pregnant woman in labor, or a significant injury occurs. An individual may break traffic laws in an effort to get a distressed individual to proper services when it reasonably appears there is no alternative method to do so. There may be a decision to drive by someone whose license has been suspended to get help for another and no other reasonable means exist. There may be an instance where an individual admits he committed a crime, but claims he did so because he was enticed to do so by an agent of the government. This is the affirmative defense of entrapment. Government participation alone will not give rise to entrapment, such as undercover agents buying drugs from someone and then charging them with delivery of a controlled substance. Generally for this defense to be effective, it must be shown that if not for the government’s participation, this individual would not have engaged in such activity. The concept that it takes a particular mental state to commit a crime is at the heart of the Insanity and Intoxication defenses. The theory is that if someone was incapable of forming criminal intent then he is not guilty of criminal activity. There are many variations on the Defense of Insanity from the possibility of not guilty to a finding of guilty but mentally ill. It is an incredibly complex area of law, as the human mind is a very complex entity. A finding of not guilty by reason of insanity does not necessarily mean freedom for a defendant. 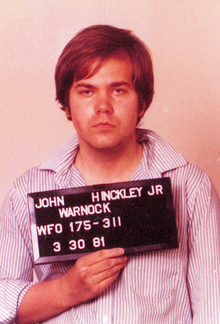 John Hinckley, Jr. shot President Ronald Reagan in 1982. Hinckley was found not guilty by reason of insanity. He remains in a mental hospital 31 years later. Intoxication by either drugs or alcohol may be a defense to certain actions; however there are strict limits on its use. If the state of intoxication was self-induced, the defense is rarely effective, in that a person has diminished his own faculties and so is responsible for the actions that follow. Involuntary intoxication is another matter, and conduct that follows when a person has been drugged by another may be found to be legally excused.